Fortunately, technology is changing every day and that allows outdoor lighting to do more than just beautify homes. 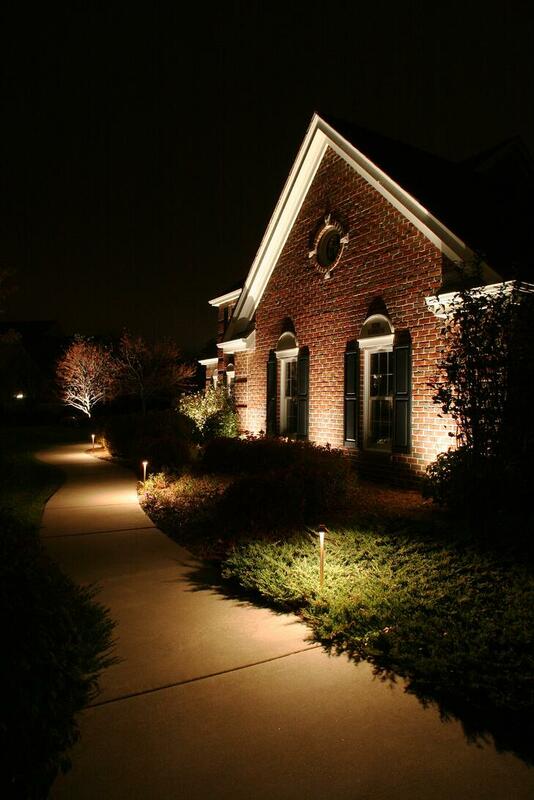 Technology allows low voltage lighting to advance and provide affordable control and options that increase safety and security to homes, walkways, steps, pools, ponds and more. Below are five ways technology makes outdoor lighting both safe and cost-effective. #1 An astronomical timer will allow your system go on every night at dusk, factoring daylight savings time. It never needs adjusting. Jenna originally had her lights going off at midnight. However, with the vandalism occurring in the neighborhood we adjusted her timer to have her lights go dusk till dawn. #2 Zoning and diming allows Jenna to separate her property into lighting zones. This will allow Jenna to keep her path lights on all night, but turn off some of the accent lighting on trees. She also has control over the brightness of her fixtures. #3 Adjustable color fixtures allow Jenna to control the color of individual fixtures. She can change the color of an up light to draw attention to a particular area. The color can by changed by an app on her phone. #4 LED bulbs keep Jenna’s operating cost at less than $1.50 a month to run. Technology has allowed low voltage lighting to run more energy efficient than ever. Her bulbs range from 3 to 5 watts and will burn for over 40,000 hours. #5 Outdoor lighting eliminates dark spots without bothering the neighbors. Jenna wants to feel safe, but she loves and respects her neighbors, and she was concerned about her property being too bright. Low voltage lights are very soft and eliminates dark corners to increase safety, beauty and awareness. Jenna is thankful that her system keeps up with advances, and allows her to enjoy her home more than she ever has, while feeling safe again at night when alone.